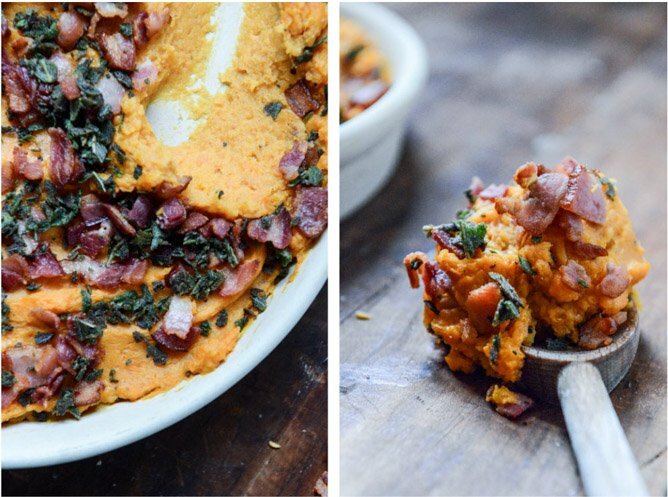 These sweet potatoes are incredible! No seriously incredible!! How many times are you going to make me fall in love with you? I really need to try this dish. 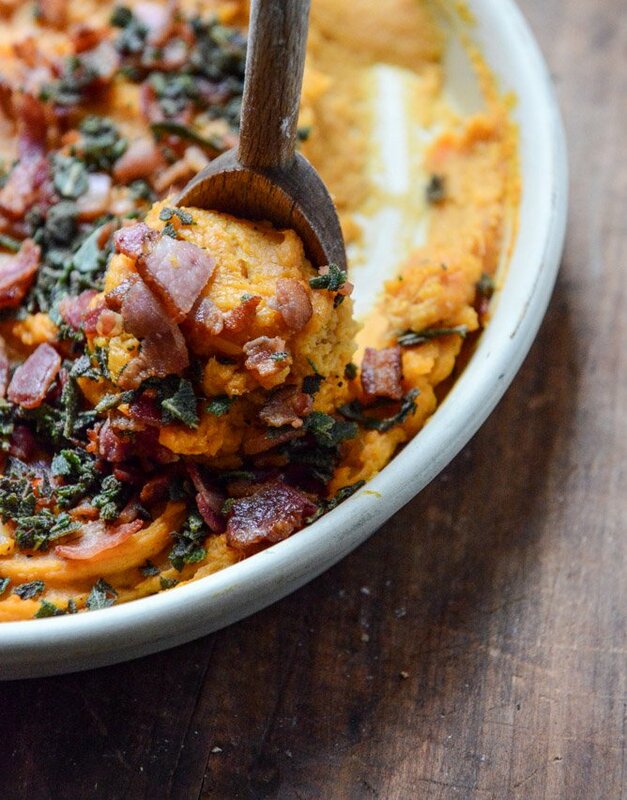 Bacon and sweet potatoes sounds like heaven. Wow, thanks for harshing my appetite in the first line with the vomit reference. Otherwise it looks like it might be good. 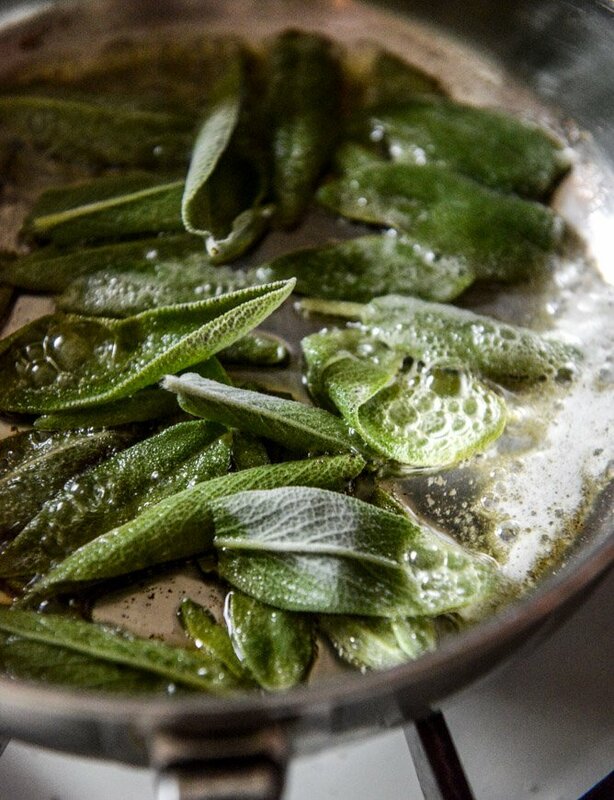 Crispy fried sage?? My only weakness! Oh, but, ummmm, welll…bacon is a close second. I think what I’m trying to convey is that these potatoes could just be my kryptonite. Bring it on. Thanks for the recipe! These were absolutely delicious. 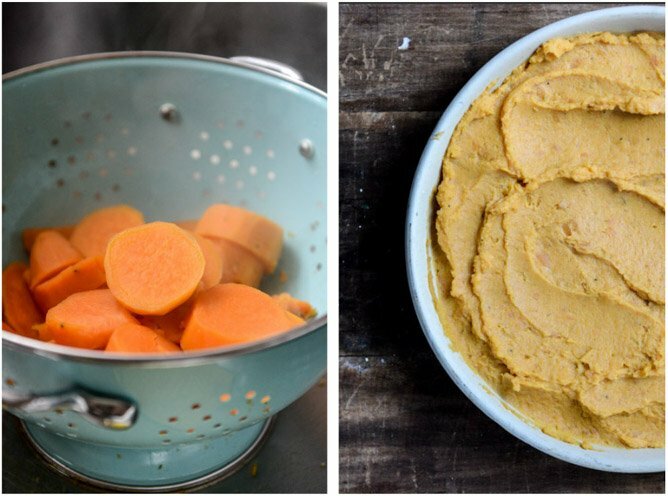 A perfect way to make sweet potatoes without adding sugar. I used garnet yams instead of the traditional sweet potato and it turned out perfectly.Thank you so much! I am not sure why you made the unfortunate choice to use the term “threw up all over” when referencing food that I might want to eat. Bad decision. Makes me not even want to read the recipe. Hey there! I’m a tad confused, should I use sweet potatoes (generally yellow in the middle) or yams (orange in the middle) or is there some orange-sweet-potato that i seem to be missing out on!? help! Pingback: girl meets: 11.20.13. | girl meets life. I want to be able to write………..just like you!!!!! signed, wendy………dietitian, artist & passionate about delicious, truly DELICIOUS food. I seriously idolize you and your recipes! Made these for my Pre-Turkey-Day-Dinner, and posted them on my blog. Thanks for the inspiration! You posted this recipe on your blog as if it were your own, and did not give credit where credit was due….? Because…??? Pingback: Helô Dela Rosa » 9 delícias com bacon para comer agora! “It’s like every single thing I love just threw up all over my whipped sweet potatoes.” That right there is a cooking quote for the ages! love it. Pingback: A Bacon Bourbon Thanksgiving. This is so ridiculously amazing! 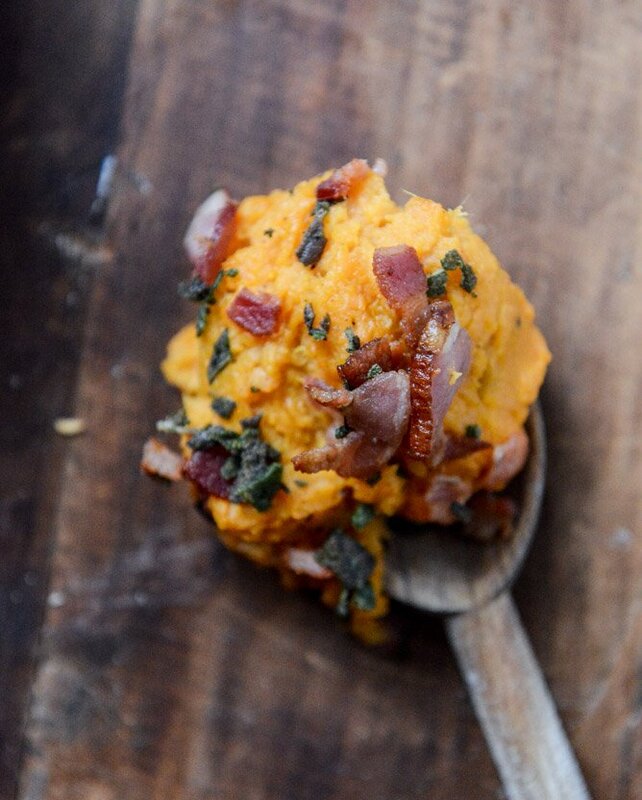 Bourbon and sweet potatoes are such a great combination. Wow… made this tonight – with alterations (I didn’t have bourbon so nixed that, and I used marinated tempeh bacon) and OMG it was ridiculous. 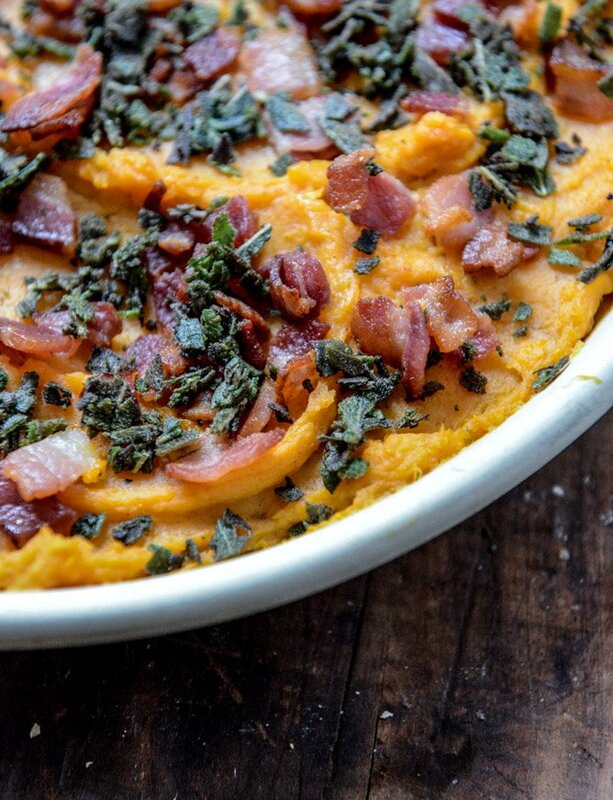 I have never liked sweet potatoes, but this was incredible! 4 lbs of potatoes for a serving of 4? Is that correct? Next question, how big of a casserole is needed for baking this (9″ x 9″)? Third question, think it’s okay to triple this for a group potluck? thanks!